Pueblo Bonito (beautiful village) sits silent, hidden in an imposing canyon far from the mountains or rivers of northwestern New Mexico. This massive feat of ancient architecture covers three acres, stood five-stories tall, and occupies the heart of Chaco Canyon. 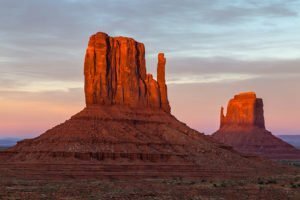 Here in a barren land of meager water and limited resources, the Anasazi ascended to their grandest presence. Chaco is located in the middle of seemingly nowhere, yet at one time its influence ruled the region far and wide as the greatest center of power for the most widespread ancient culture of North America. 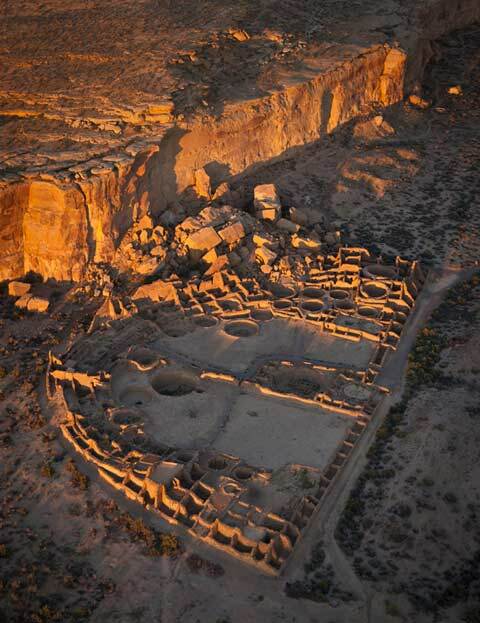 Everything in Chaco Canyon was built large, meant to impress, with skills never before exhibited to this degree of precision. Pueblo Bonito was the tallest building in North America for nearly 600 years. Occupied from mid-A.D. 800s to early A.D. 1100s, its stature is impressive. In this one structure there are over 600 rooms, more than 30 ceremonial kivas, and walls up to three feet thick in the D-shaped floor plan. Pueblo Bonito was a ceremonial center, perhaps much like the Notre Dame cathedral that was constructed near the same timeframe. 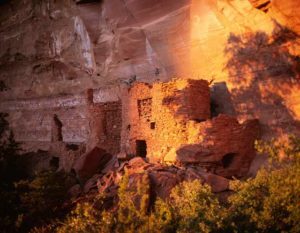 The Anasazi built with stone, and with purpose beyond necessity. Today, many walls in the ancient pueblo showcase decorative stripes of thin stone in the masonry. But this added touch would have been hidden in ancient times behind layers of smooth mud plaster. Windows and walls aligned to solar and lunar cycles requiring generations of observation. The central wall is precisely oriented north south. Two-foot thick timbers once supported ceilings, hand-carried from the Chuska Mountains over 50 miles away. Pueblo Bonito was grand. Surrounding it are engineered roads built straight as arrows leading from or to Chaco Canyon in all directions, to outlier communities, miles away. When a road ran into a cliff they chiseled wide stairs, not just making hand- and footholds, overcoming any obstacle that lay in their path, establishing authority. 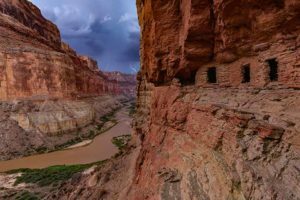 But the Ancient Ones had placed their greatest building beside a section of cliff, a place of immanent danger, where a gigantic slab of sandstone was separating from the mesa edge. The slab measured 100 feet tall, 30 feet thick and 150 feet long. In their own understanding of the cosmos they apparently had placed prayer feathers in the cracks of what was later named Threatening Rock. They may have had a similar name for this huge rock, not completely trusting the timetable of geology that knows no certainty. Here’s where it gets interesting. They had built a support system under the slab using enough dirt to fill a movie theater, partially composed of clay, and then covered in sand. They had carefully propped timbers, and added an aesthetic veneer to blend the reinforcements with the main complex. Twentieth Century archaeologists said their efforts were under-engineered for the mass of rock estimated to weigh 2,500 tons. 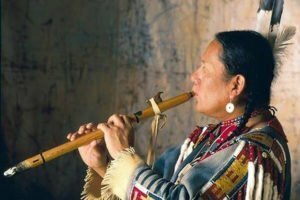 But their intentional effort never faltered while they lived there and for the next 600 years. But then it happened. On January 21, 1941 the cliff broke lose. The bulk of Threatening Rock suddenly came crashing down, sharp boulders bursting into the walls of Pueblo Bonito, breaking and crushing the ancient masonry that once stood five stories tall, burying 60 rooms of the structure in an avalanche of rubble. Why did they build their most accomplished structure next to an unstable cliff of soft sandstone? 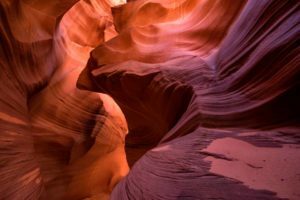 Could it be for the acoustics of the canyon? Warmth of the winter sun reflected off the rocks? Sacred geometry? Just one of the mysteries of Chaco Canyon.